During the Cisco CCNA Security course, you will learn about the creation, implementation and maintenance of an all-inclusive security policy by utilising Cisco IOS security features. The course will also teach students to implement security technologies and concepts using routers, switches and firewalls and how to configure site-to-site VPNs. To earn your Cisco CCNA Security qualification you will be required to study the course and pass the exam for the course. After passing the exam, you will earn the CCNA Security certification. 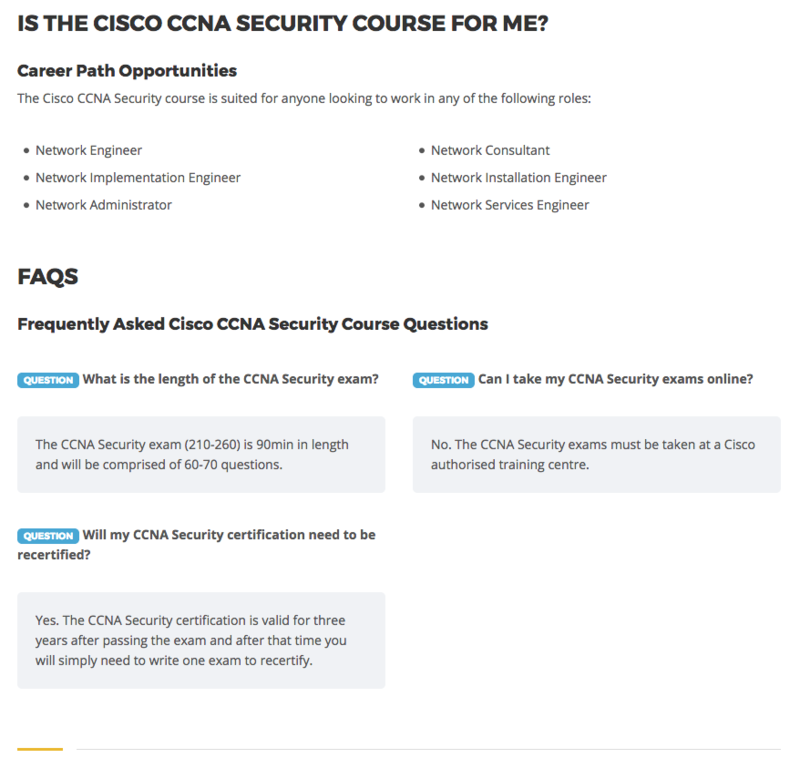 You will need to have gained the Interconnecting Cisco Network Devices Part 1 certification to write the Cisco CCNA Security exam.